Albany's best fitness center, CrossFit®, group fitness classes, Spinning®, women's only gym. Voted Albany's best exercise facility, year after year! Tony's Westside Athletic Club, originally established in 1982 as Tony's Gym, has grown from a 3,000 sq. ft. facility to become the area's largest and most popular fitness facility. The club is locally owned and operated by Tony Powell. Tony's Westside Athletic Club has been voted Albany's Best Exercise facility year after year by the readers of the Albany Herald, is the recipient of the Star Business Award given by the Albany Chamber of Commerce for outstanding customer service, and has been nominated one of Albany's Top Five Small Businesses by the Chamber of Commerce. Thank you for visiting our site. We hope to have the opportunity to meet you and serve your fitness needs soon. Albany's largest, privately owned fitness center! At Tony’s, we want you to exercise your options. Whether it’s indoor cycling, free weights, cardio equipment, personal training or group classes, we offer fitness opportunities in an environment that makes you feel at home, no matter what your current fitness level may be. People don’t have to be flawless to feel comfortable at Tony’s. It is not competitive, it is non-judgmental, and it is not elitist. At the heart of Tony’s core stands a tremendously experienced and energetic staff dedicated to creating an environment where everyone feels accepted. Juice Bar and Nutrition Center - healthy shakes, breezes, meal replacement bars and snacks, supplements. Tanning Salon - Always hot bulbs and super clean facilities. 5,000 sq. ft. facility - For Women only fitness club. Dedicated Tanning Salon - Six beds with always hot bulbs and super clean facilities. CrossFit® is constantly varied functional movements performed at high intensity. All CrossFit® workouts are based on functional movements, and these movements reflect the best aspects of gymnastics, weightlifting, running, rowing and more. All memberships come with a one week free trial of 229 CrossFit® @ Tony's. Click here for additional information about 229 CrossFit®. Looking to cool down? Perk up? Get going? Stay healthy? Look no further, order your favorite City Blends™ drink today and join our mission too! 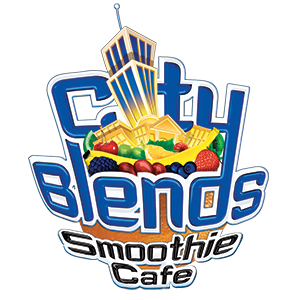 See what CityBlends has to offer! We offer group classes from abs to Zumba® and we're open 7 days a week! Click the +GoogleCalendar button above to add this calendar to your own personal calendar or click here to add this calendar. If you're using an iPhone you can click here to download the iCal file to add to your iPhone's calendar as well. *A $29 gym enhancement fee is applied once a year to monthly gym memberships. Here are some of our most popular options and add-ons. Don't see something listed here? Give us a call and we can give you the current rate! Add-on Family Member 19.99 a month per person. Family add-ons must be spouse and/or children between the ages of 12 and 22 and living at home. Our most popular packages are presented here. We also offer corporate and group discounts. For additional options or to add on additional services please contact us! For gym and tanning memberships, please come to the gym in person and sign a 30-day cancellation form. We share your Personal Information with third parties to help us use your Personal Information, as described above. We may use Google Analytics to help us understand how our customers use the Site--you can read more about how Google uses your Personal Information here: https://www.google.com/intl/en/policies/privacy/. You can also opt-out of Google Analytics here: https://tools.google.com/dlpage/gaoptout. This website is operated by Tony's Fitness Group. Throughout the site, the terms “we”, “us” and “our” refer to Tony's Fitness Group. Tony's Fitness Group offers this website, including all information, tools and services available from this site to you, the user, conditioned upon your acceptance of all terms, conditions, policies and notices stated here. In no case shall Tony's Fitness Group, our directors, officers, employees, affiliates, agents, contractors, interns, suppliers, service providers or licensors be liable for any injury, loss, claim, or any direct, indirect, incidental, punitive, special, or consequential damages of any kind, including, without limitation lost profits, lost revenue, lost savings, loss of data, replacement costs, or any similar damages, whether based in contract, tort (including negligence), strict liability or otherwise, arising from your use of any of the service or any products procured using the service, or for any other claim related in any way to your use of the service or any product, including, but not limited to, any errors or omissions in any content, or any loss or damage of any kind incurred as a result of the use of the service or any content (or product) posted, transmitted, or otherwise made available via the service, even if advised of their possibility. Because some states or jurisdictions do not allow the exclusion or the limitation of liability for consequential or incidental damages, in such states or jurisdictions, our liability shall be limited to the maximum extent permitted by law. You agree to indemnify, defend and hold harmless Tony's Fitness Group and our parent, subsidiaries, affiliates, partners, officers, directors, agents, contractors, licensors, service providers, subcontractors, suppliers, interns and employees, harmless from any claim or demand, including reasonable attorneys’ fees, made by any third-party due to or arising out of your breach of these Terms of Service or the documents they incorporate by reference, or your violation of any law or the rights of a third-party. Questions about the Terms of Service should be sent to us at heather@tonysgym.com.